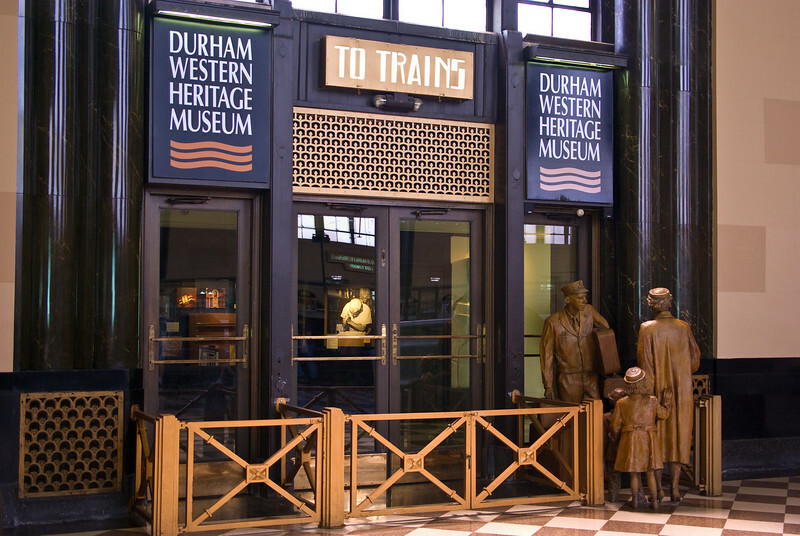 The Durham Museum, (perviously known as the Durham Western Heritage Museum) Lauritzen Gardens and the Union Pacific Railroad Museum joined together for Railroad Days 2007. 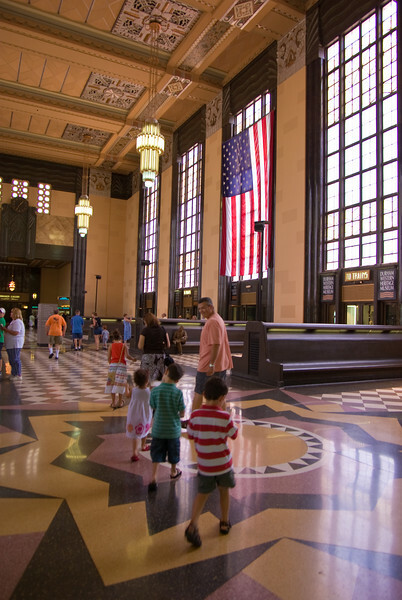 Omaha Union Station has been converted into the Durham Museum. For a larger view, click on any image or the slideshow button. 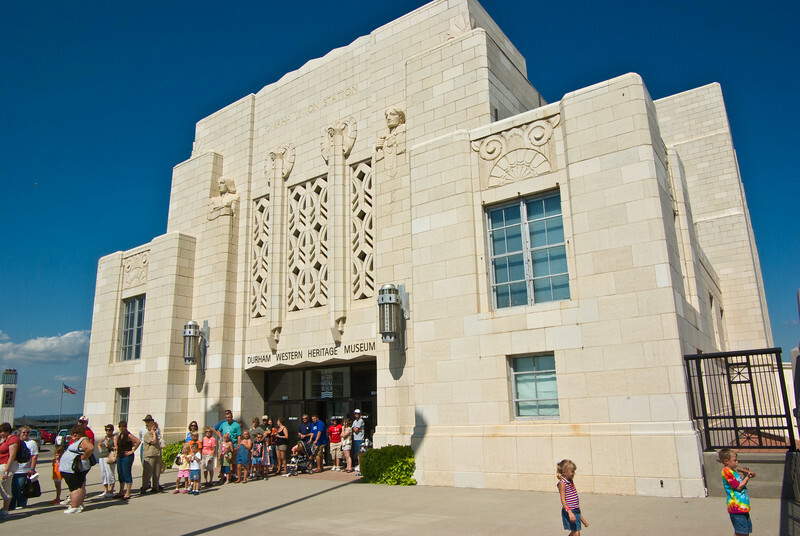 The building has been restored over the last several years. This now leads to exhibits on the upper and lower levels. 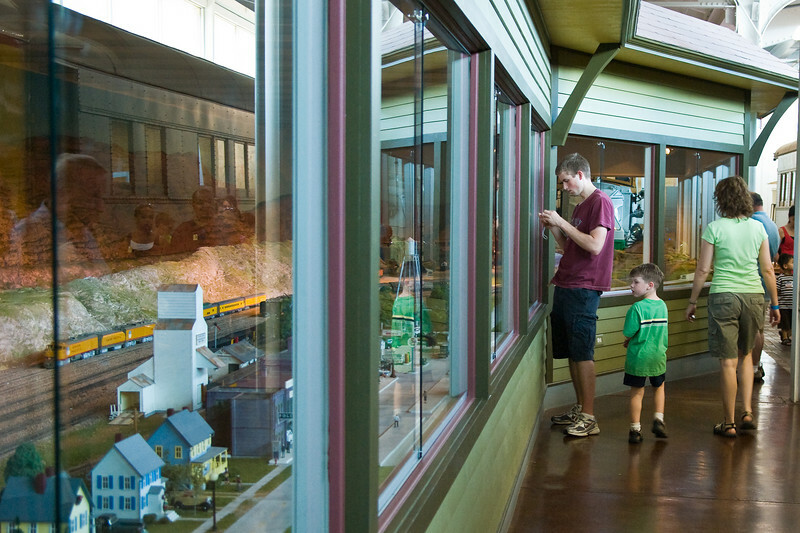 The lower track level contains exhibits, restored railroad cars and a working model railroad. 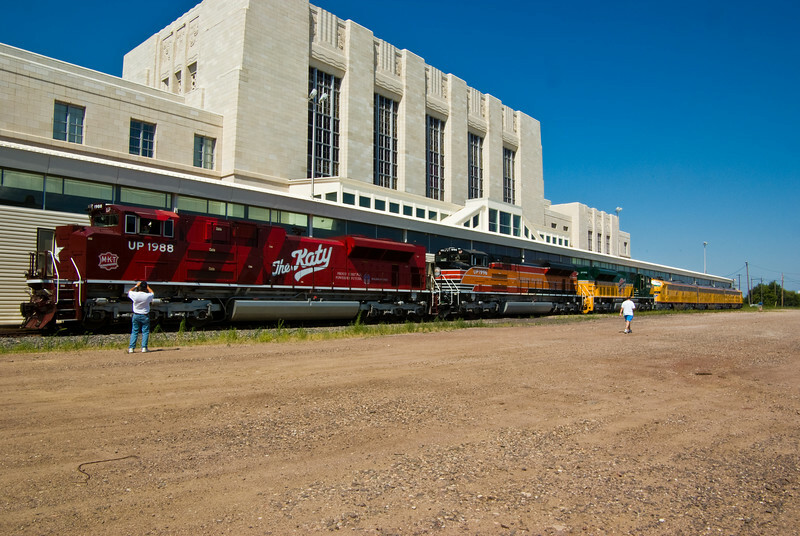 The public may tour restored passenger cars from several eras. 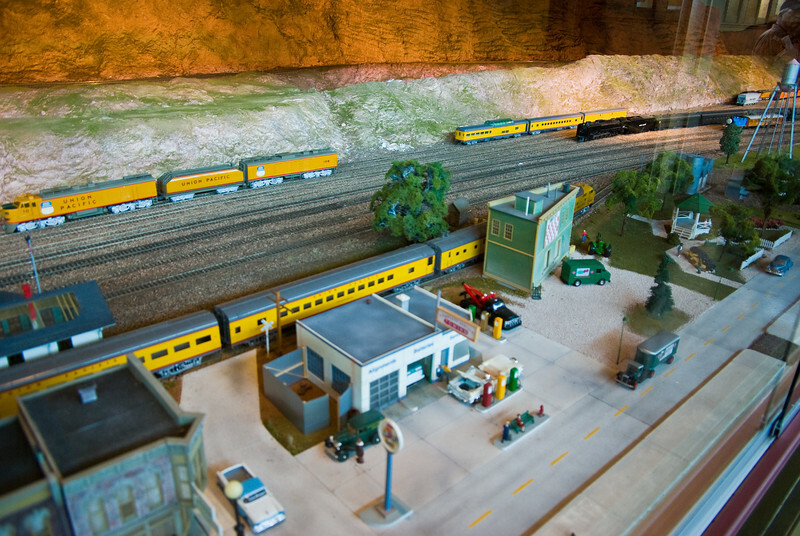 The model railroad operates in a large diorama representative of the midwest. 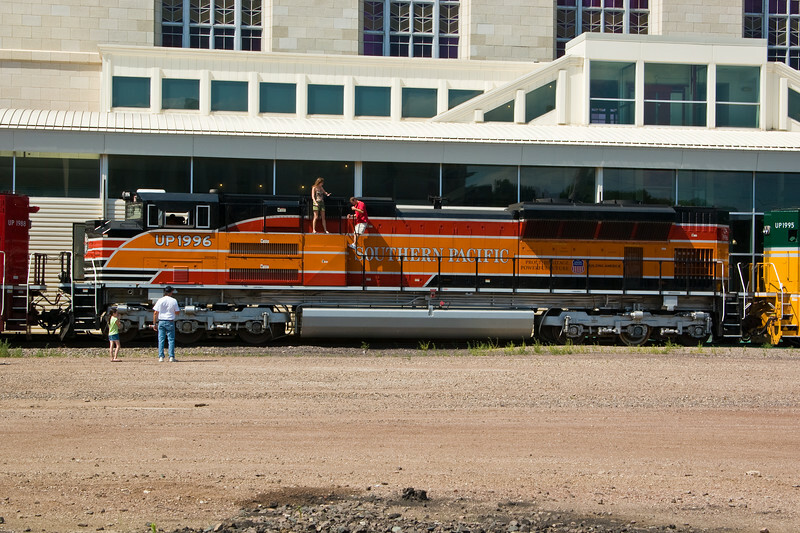 Most of the engines and rolling stock are painted in Union Pacific colors. 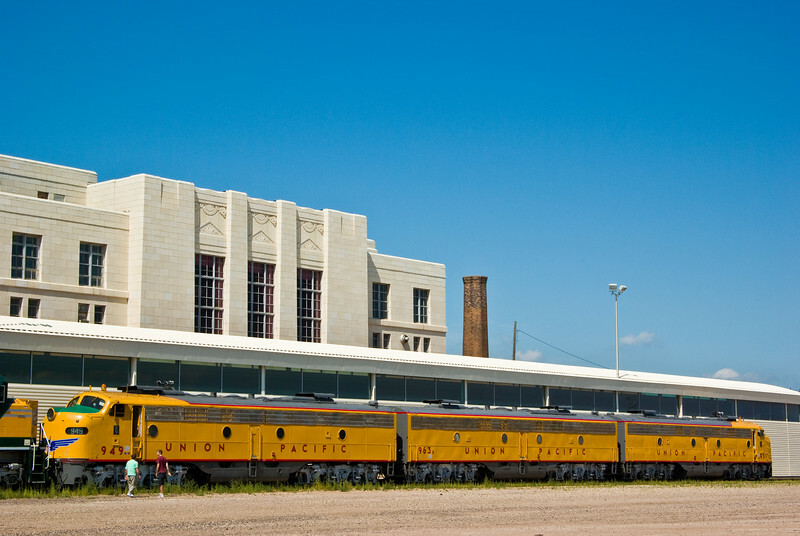 The Union Pacific headquarters are only a few blocks from the Museum. 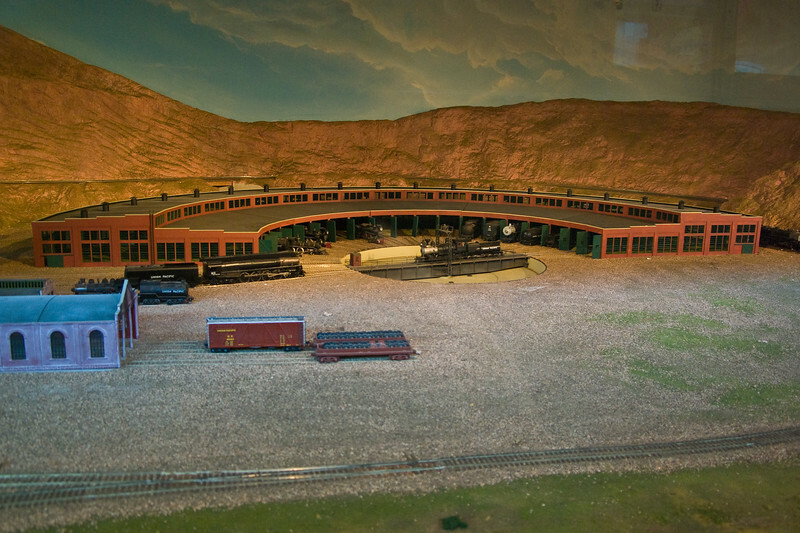 You don't see roundhouses like this in operation any more. 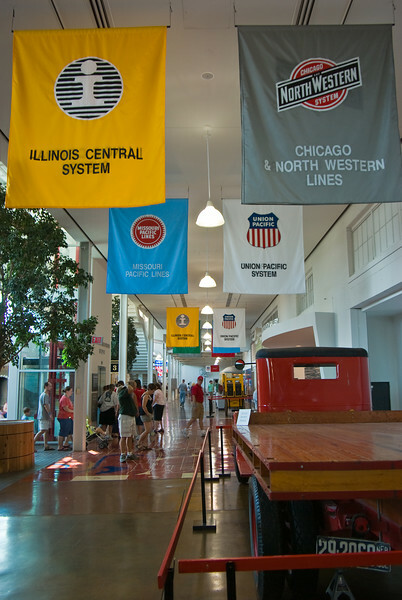 Banners with logos of various railroads that operated out of Union Station hang from the ceiling. 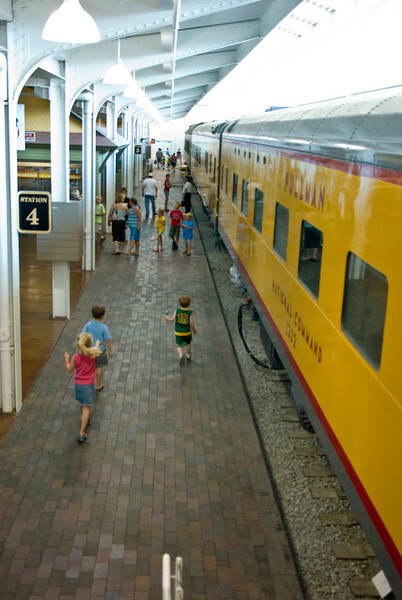 Omaha once had a street railway. The tracks were removed decades ago when the bus was considered a better option. 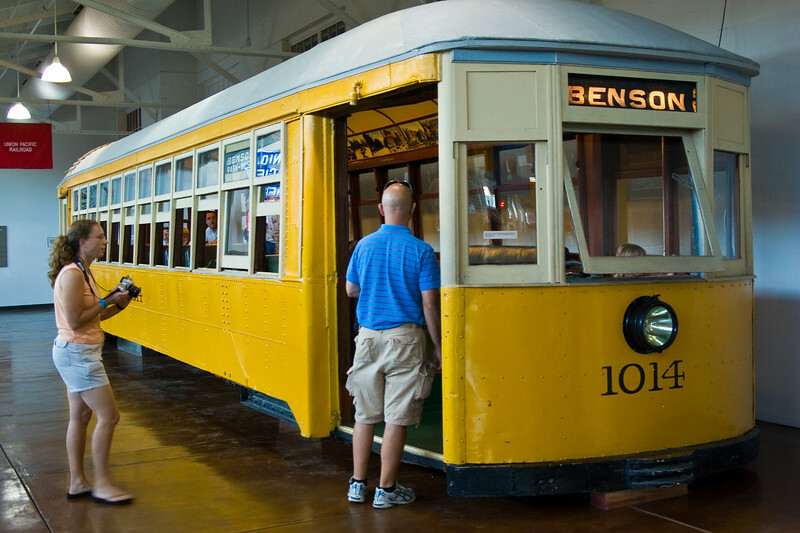 The city is considering bringing streetcars back to some areas. 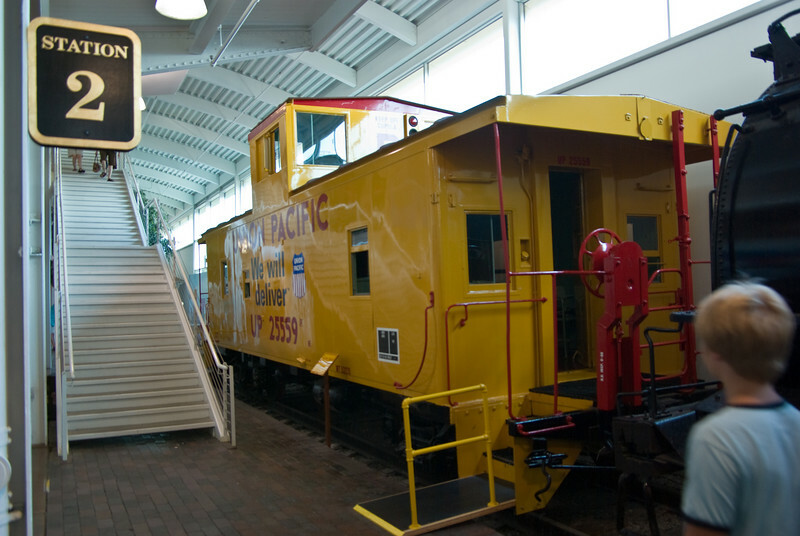 This is about the only place you'll see a caboose these days. 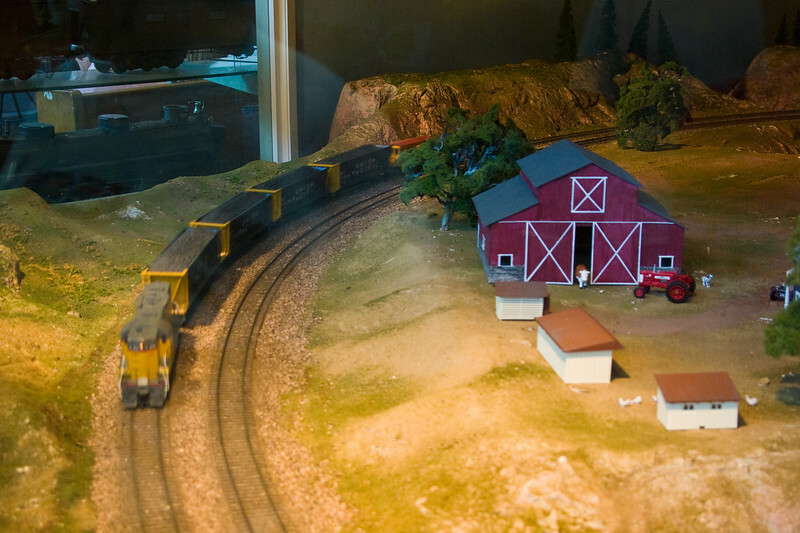 They have been considered obsolete by the railroads for at least a couple of decades. They have been replaced by electronic monitoring equipment. Outside were a few engines provided just for Railroad Days. 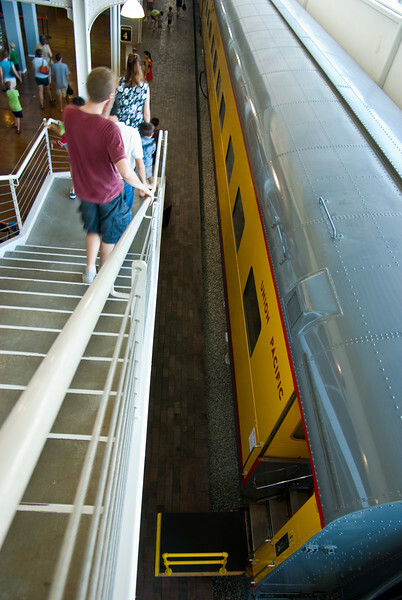 The engines were open and the public were allowed to climb aboard.